Come celebrate, study and learn with elders from around the world! We are beginning the planning for a 2019 Nuevo Fuego ceremony. Please stay tuned for the location and timing. The 2018 Slideshow is on the home page. Enjoy seeing photos from the 2017 Nuevo Fuego ceremony! Nuevo Fuego is a multi-cultural ceremony that celebrates the Eagle-Condor prophecies. 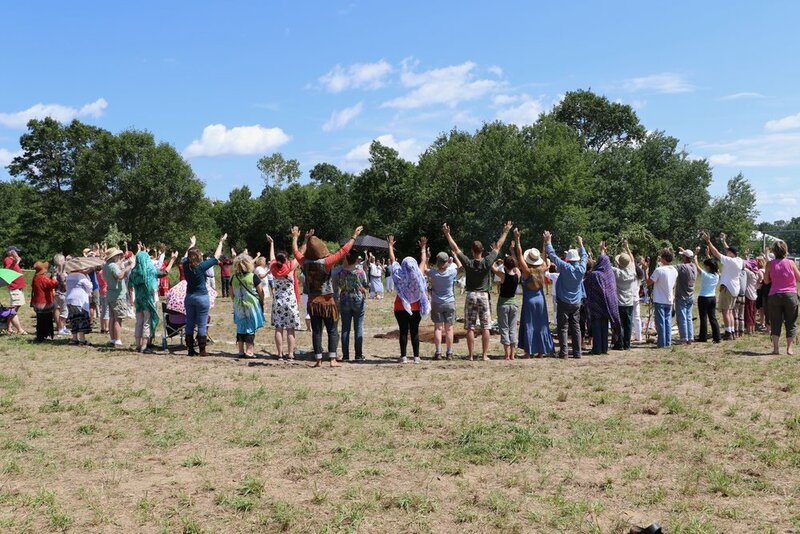 The people of Turtle Island join with the Mayan Shaman in a sacred ceremony that unites us as we care for Mother Earth and all her children's children. This ceremony is an inclusive and diverse celebration of the necessary changes that we need to make as a community to truly honor all our relatives. Nuevo Fuego is a celebration of all peoples. Several first nation communities and elders from around the world are participating with us through prayer, resources, medicines and ceremony. We will also be hosting the Tibetan monks as they offer prayers throughout the ceremony. The first ceremony in the United States in 2017 was a celebration of our coming together as one nation. We were fortunate to welcome members of the Mayan, Aztec, Lakota, Dakota, Anishinaabe, Mandan, Tibetan, Inuit and Sami communities. More than 250 people participated in the three-day ceremony. The Nuevo Fuego ceremony originated in the Yucatan and celebrates the Ano Nuevo Maya or Mayan New Year. In 2016, ash from sacred fires in Minnesota was brought to the Yucatan as a blessing to the historical ceremony that was led by Mayan Shaman Priests with the Mayor of Mani's blessing and participation. A documentary was filmed during this special ceremony. Prior to 2016, this special Nuevo Fuego ceremony had not been performed in almost 500 years. Pray about whether you are called to financially support bringing the elders for the 2019 ceremony or to provide shelter, food and other necessities. Your donations are much appreciated. Contact us if you want to contribute. Sacred Listening is not a substitute for medical or psychological diagnosis and treatment.